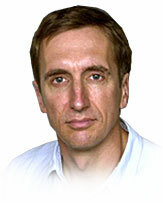 Adam Mynott became a BBC Nairobi correspondent in August 2004. Prior to this, he worked as a South Asia correspondent from 2001. Adam first joined the BBC as a trainee radio reporter in 1981. He then moved to BBC Radio Leeds as a reporter and producer between 1984 and 1987. He joined BBC Radio 4's Today programme in 1987, working his way up from producer to senior producer. While at the Today programme he worked on major stories including the 1991 Gulf War and the French Republic Centenary in 1987. Adam then moved to New York to become a current affairs producer, before returning to Britain in 1992 to spend three years working as a BBC News reporter. Between 1996 and 2001 he worked as a BBC Sports correspondent, covering events such as the Atlanta and Sydney Olympic Games, Football World Cups in the USA and France, the Rugby World Cup in Wales and Cricket World Cups in both India and England. During this time Adam also worked as a Newsnight reporter in 1999 and 2000. As a South Asia correspondent he covered major stories such as the war in Afghanistan and the India and Pakistan crises. He has received two Sony Radio Awards for his work on the BBC Radio 4's Today programme. Adam was educated at Eastbourne College. He graduated from Exeter University in 1980 with a degree in Philosophy. He was born in Eastbourne in October 1957.